Portland recently added a second "major" sports team with their MLS soccer franchise, the Timbers. Unfortunately, moving that team up from USL--a level below Major League Soccer--also pushed the AAA Beavers out of town for lack of a stadium. Tucson now hosts this San Diego farm team as the Padres, but they'll move again to Escondido, CA when a new park's ready. 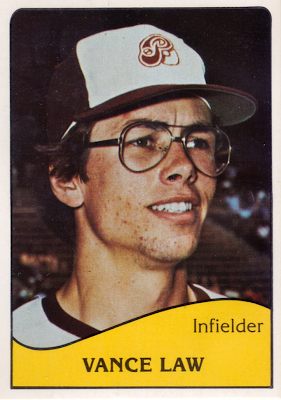 I used to own a pair of these glasses, but Vance represents just the tip of a baseball iceberg. When you're done here, check out Night Owl's post Best Glasses in the History of Baseball Cards. 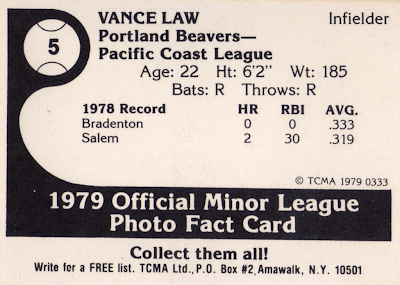 Vance played 11 MLB seasons for Pittsburgh, Chicago (AL & NL), Montreal, and Oakland, and picked up a great defense-minded nickname, "Long arm of the Law." He made the NL All-Star team in 1988 as third baseman for the solid Cubs infield (with Mark Grace, Ryne Sanderg, and Shawon Dunston). 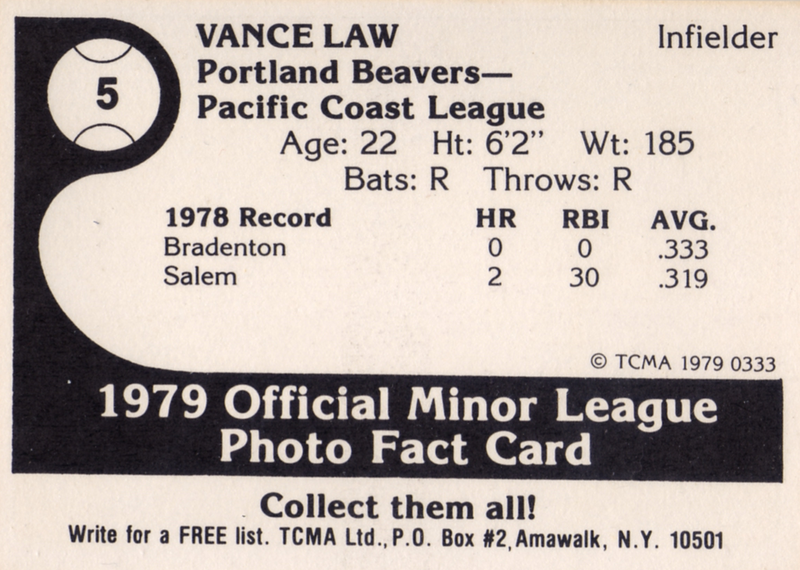 Value: Picked this up for $2 from MinorLeagueSingles.com, typical for 1970s minor leaguers.